Meet John Masella, 38-year-old Attorney. John grew up in upstate New York and knew that he wanted to work in the justice system from a young age. After attending the State University of New York – Plattsburgh, he decided to attend Southern New England School of Law, now Umass Law school. While attending the school, John fell in love with New Bedford, as it was so diverse and rich with culture. 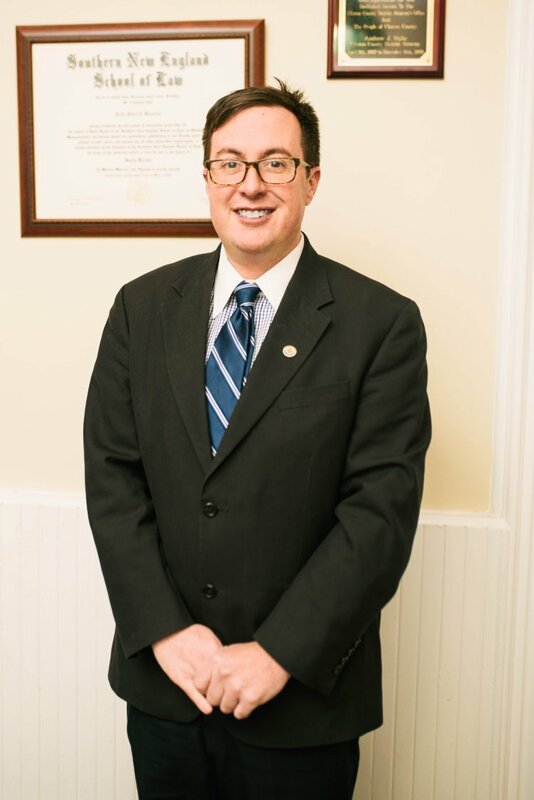 After graduating and taking his bar exam, he returned to New York, practicing law for a short while. Missing his time in New Bedford, he decided to pack all of his things into his car and headed back to the city he had fallen in love with, in hopes to use his newfound career to benefit the community. He quickly met Gerline Lowe, a prominent figure in the local justice system, and she got him introduced to the local court. John’s practice started in the hopes of helping the neediest of people. Working to help provide justice to those who didn’t have the means, John made it his mission to help provide legal counsel for those who would have otherwise not had a chance. Since coming back to the system almost 10 years ago, he has done many things to benefit the community. He is a Drug Court Attorney, working with those involved in the Drug Court in their journey towards rehabilitation. John is also a member of the US Supreme court as well as the US First Circuit courts. John hopes to continue to serve the city and the Commonwealth, ensuring that justice is being upheld and preserved, for every group of people.